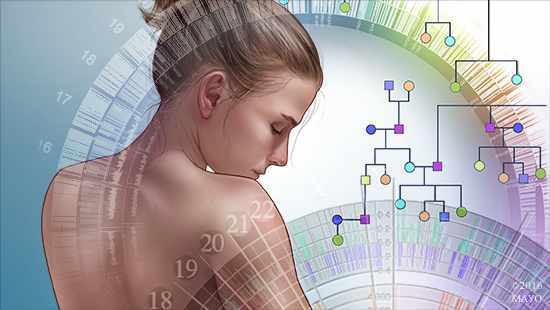 Presenting recently at the 2016 San Antonio Breast Cancer Symposium, researchers from the Mayo Clinic described how inherited pathogenic variants in the protein coding genes BARD1 and RAD51D increase a woman's likelihood of developing breast cancer. Pathogenic variants are changes in DNA that have an adverse impact on a gene's ability to function properly. In a presentation entitled “Breast cancer risks associated with mutations in cancer predisposition genes identified by clinical genetic testing of 60,000 breast cancer patients,” Dr. Couch described how he and his colleagues studied data from a large group of women with breast cancer to obtain risk estimates associated with 21 cancer predisposition genes from testing panels. The researchers found that pathogenic variants in individual genes, such as BARD1 and RAD51D, caused moderately increased risks of breast cancer. Additionally, the Mayo researchers confirmed the involvement of the ATM, CHEK2, and PALB2 genes in breast cancer. They also found that the RAD50 and MRE11A genes did not increase risks of breast cancer.